Home to Tesla’s primary vehicle assembly plant and located adjacent to Silicon Valley, the City of Fremont is the largest suburban municipality within the San Francisco Bay Area. Its population totals 220,000 people. 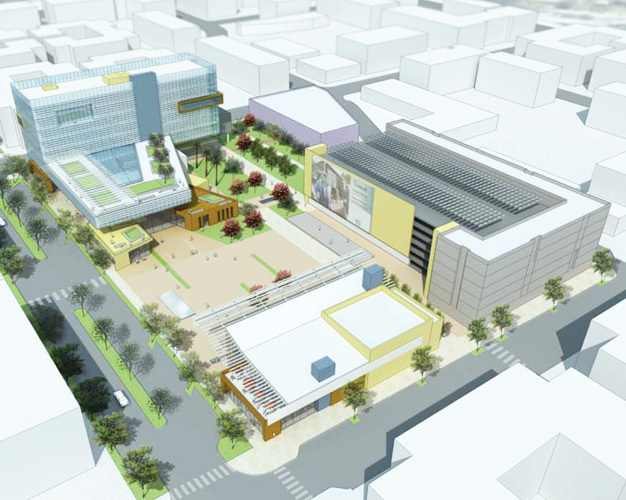 It is now developing a new, 600,000-square-foot, mixed-use civic center to better deliver government services while reflecting the city’s prominence in a region known for innovation. The development is also intended to catalyze development in Fremont’s Downtown District. To embody Fremont’s vibrant culture of innovation and energy, the city has mandated that the civic center not only pursue basic sustainability measures but also embrace advanced sustainability measures that demonstrate leadership in sustainability and make the civic center a model of sustainable development. 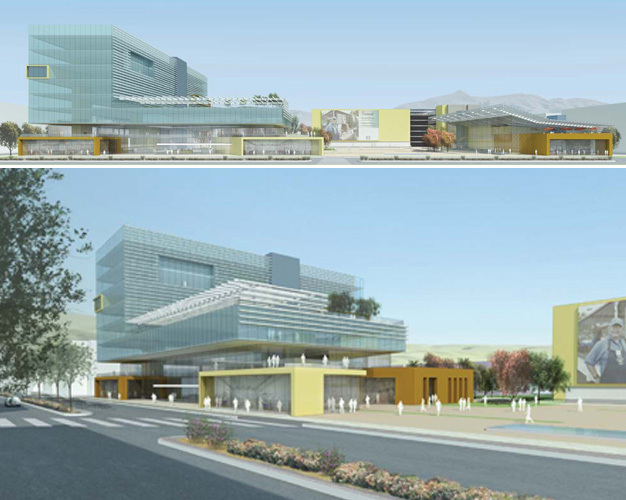 To be developed in phases, the entire civic center site will be taken through schematic design, for which Brightworks will provide sustainability and LEED consulting while establishing a LEED master site program to streamline the LEED documentation in later phases. After schematic design, the city will complete the new community center, which will be used temporarily as a chamber for city council until the permanent city hall building is complete in a later phase. When the entire civic center is complete, it will feature a city administration building, a community center, a parking garage, and a multi-family housing condominium building, and a large plaza for public events. Brightworks has also provided training in LEED v4 to the City of Portland, Skanska, Hoffman Construction, and other clients and partners. The State of California is more progressive on carbon mitigation that any municipal entity in the United States, and solar energy is an emerging industry sector in Fremont. For this reason, the civic center will generate renewable energy on-site through a rooftop solar photovoltaic (PV) array. The plaza at the core of the civic center site will embody sustainability as well, with infrastructure for bike commuters, an on-site stormwater management system, and paving with a high SRI index to reduce heat island effect.